I've had three larger and more time-consuming knitting projects lately, the Marius sweater being one of them. It's finally assembled! 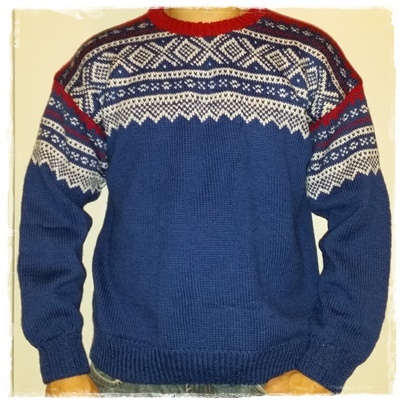 I was happy that after all our years together, my hubby wanted me to knit him a sweater. 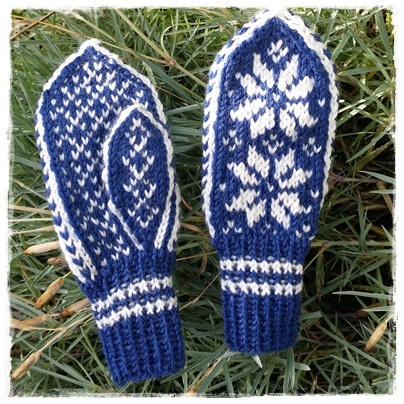 The remnant yarn was turned into a pair of Selbu mittens size 3-5y.